Her har jeg lavet skyer med et stykke karton, jeg har klippet i sky-facon og brugt som stencil med mine distress inks hen over. En gammel die + stempel fra Lawn Fawn er brugt til ballonerne, og ordet "Celebrate" er en die fra MFT Die-Namics. 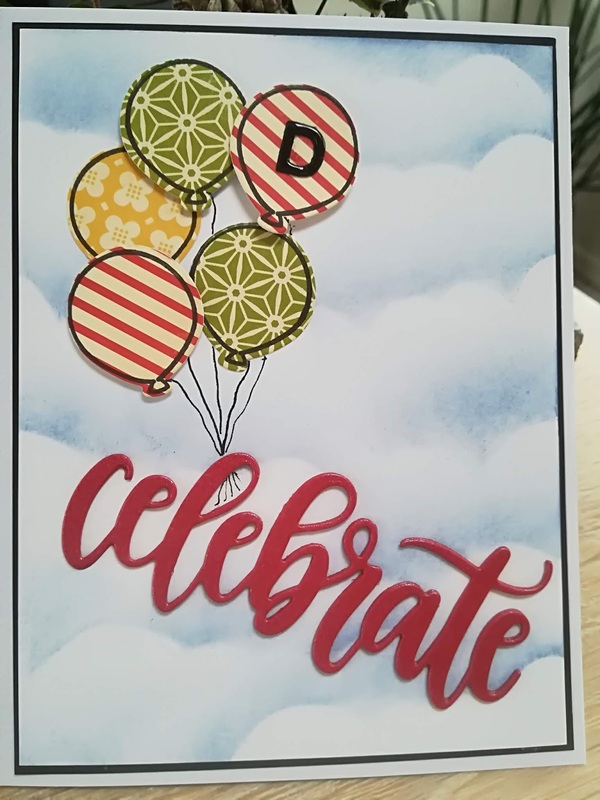 The balloons are stamps and dies from Lawn Fawn (old ones), and the "Celebrate" word i a die from MFT Die-Namics. The sky with the clouds is made with a piece of paper, which I cut into the shape of clouds and then used as stencil with my distress. 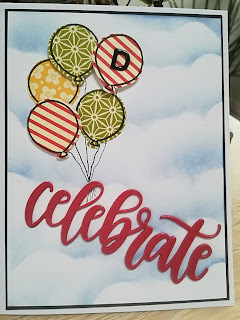 Etiketter: distress ink, Lawn Fawn balloons, MFT Die-namics "Celebrate"
Fantastic! Thanks so much for playing in our ‘Sunshine or Clouds’ challenge at Dies R Us. Good Luck and please come back again soon! Such a sweet card! The balloons flying high in the clouds is perfect for our challenge. Thanks so much for linking up with the DRU "Sunshine or Clouds" challenge. Best of luck to you!